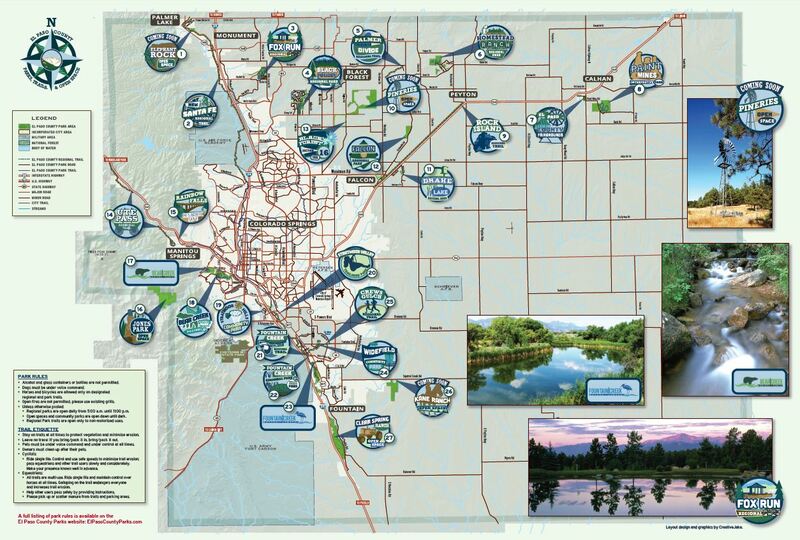 Learn about El Paso County parks, trails and nature centers. See all of our Park Videos on our Park’s video page. Click on the map for a PDF version.